Samsung Ativ Book 2 are a range of Windows 8 laptops built for consumers. They feature brilliant 15.6-inch display with keyboard, numeric keypad, and multi-touch touchpad. Samsung Ativ Book 2 features a wide range of processors from Intel and is great for home use, home-office, or students. 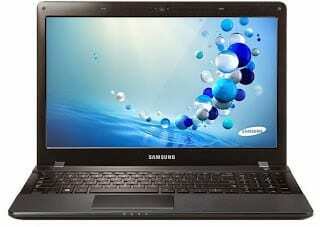 Depending on configuration, the Samsung Ativ Book 2 comes with Intel Celeron, Pentium, or Core i3 processors. The laptops offer 320GB, 500GB, 750GB, or 1TB hard drives. The 15.6-inch displays feature 1366 x 768 pixels resolution and 16:9 aspect ratio with anti-reflective coating. Samsung Ativ Book 2 runs on Windows 8 with 2GB or 4GB RAM. They support up to 8GB of on-board DDR3 RAM. Samsung Ativ Book 2 notebooks feature HDMI port, 3-in-1 card reader, VGA, Ethernet, Wi-Fi 802.11 b/g/n, Bluetooth 4.0 (optional), USB 2.0 ports, and an HD webcam. Samsung Ativ Book 2 laptops are available in Nigeria at reputable retail outlets and online stores in Nigeria. Samsung Ativ Book 2 laptop price in Nigeria ranges from N99,000 to N130,000, depending on your location and the configuration of the laptop.